Smart and kind, a German Shepherd can be many things. For law enforcement, he can be an essential part of taking down criminals. For kids, he can be a lovable buddy and a loyal protector. And there are plenty of other reasons why he can be your ideal pet. The German Shepherd is a famous breed in part because he was the first canine movie star - Rin Tin Tin was huge back in the 1920s. While this large breed’s fluffy coat and natural charisma makes him camera-ready, his intelligence, strength, and agility make him a natural for K-9 units. You don’t want to be on the wrong side of the law with this breed. The combination of a German Shepherd’s natural herding instincts and his sheer brainpower makes the breed capable of adapting to pretty much any given situation. This is why they are the de facto breed of choice when a working dog is needed. In addition to being a perfect K-9 dog, he also excels at being a guide dog and a search and rescue dog. This adaptability also makes him an ideal family dog. With the proper amount of socialization and training, a German Shepherd can become a loyal, loving breed to own. This is particularly the case with children, as his herding instincts lead him to be their fiercest protector. 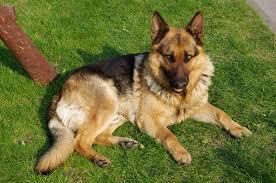 The adaptive nature of a German Shepherd also makes him one of the most versatile breeds around. Unlike other breeds who may struggle with adapting to any life changes that may come your way, he can "go with the flow" and adjust quickly. Considering he's a healthy breed whose usually lives between 11 and 13 years, this trait may be important. As idealized as a German Shepherd appears to be, he’s nonetheless not for everyone. There are certain things that you need to prepare yourself for if you want to be as good to your German Shepherd as he will be to you. The biggest need your German Shepherd will have a need for exercise. This is not just a physical need, but a mental one as well. Remember, this is a working dog breed, and getting out for a walk, playing in the back yard, or going through basic obedience drills will satisfy their inherent need to stay busy. If you don’t provide him with what he needs, your home may suffer the brunt of the consequences. A bored German Shepherd will take the matter of entertaining himself into his own paws. This form of self-entertainment could very well devolve into a destroyed sofa or a ripped up flowerbed. Because a German Shepherd is so smart and loyal, they're relatively easy to train. However, it is also easy for the breed to slide into “mean dog” territory if you don’t take the time to incorporate socialization skills into your training plans. If you don’t have the time to teach him how to get along with others, he may make your life miserable. Even though German Shepherds are adaptable, you may want to think twice about bringing him into the fold if you live in a tiny apartment. This is a large breed we're talking about. If you don't have adequate space for the physical and mental stimulation he needs, you may want to look elsewhere. Finally, you should be aware that a German Shepherd sheds a ton of fur. This is because the breed boasts a double coat, and he goes through a couple of serious shedding sessions per year. Even if you brush your buddy's coat a few times a week, you can still expect to find some fur left behind here and there. An Easy Dog to Love! Please let me know if you would like to do that or if you have any questions. thanks. Please send your request to Contact and someone will respond to you! !